Sure, Edison is the light bulb and phonograph guy, but he also evidently appreciated nice cars. He used to go camping with Henry Ford and Harvey Firestone, after all, and they’d sometimes let President Warren Harding come along. 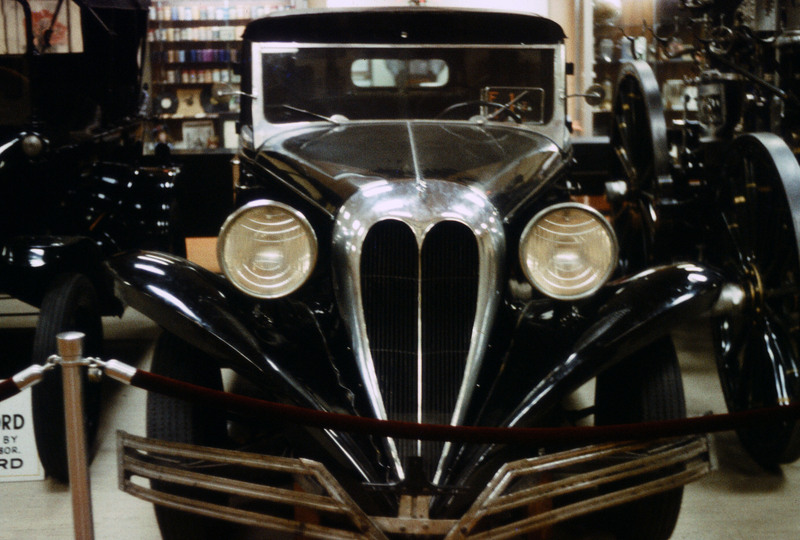 Shown here is a photo I took in 1973 of a car at Edison’s Fort Myers, Florida, home and lab. It’s a 1930s Brewster-bodied Ford Town Car. I just love the sweeping lines of that radiator shell. If I remember correctly, Edison’s son, Charles, later drove this car when he was governor of New Jersey and Secretary of the Navy. There were several of Edison’s cars there, including electric ones he had developed, but this one was my favorite. One thing that struck me when I visited this wonderful site is that several light bulbs that Edison built by hand have been burning there continuously since about 1910 or so. Granted, they are big, low-wattage bulbs but a light bulb that can burn for over 100 years is an amazing thing to see. Also, his first phonograph is there. Since Edison was stone deaf, he had to bite the wooden case of the thing to see if his invention worked or not. You can see his teethmarks in the woodwork.